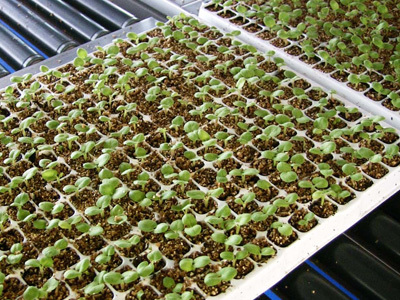 Rockwool blocks are used for the cultivation of various vegetable plants. 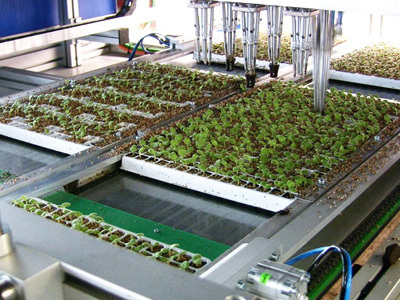 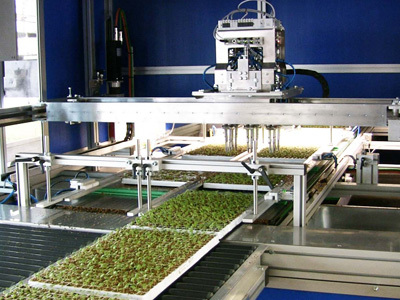 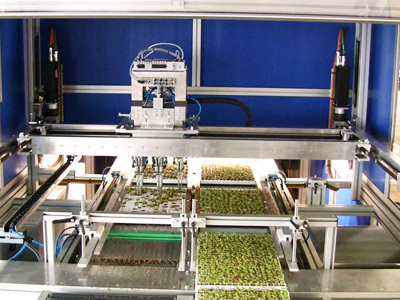 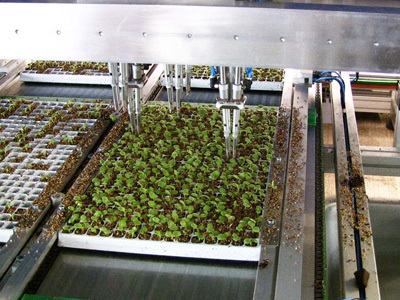 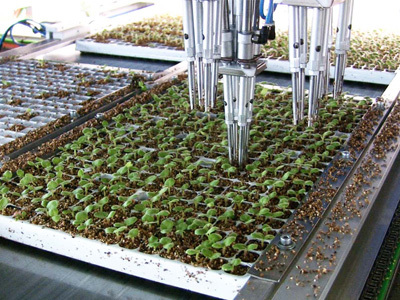 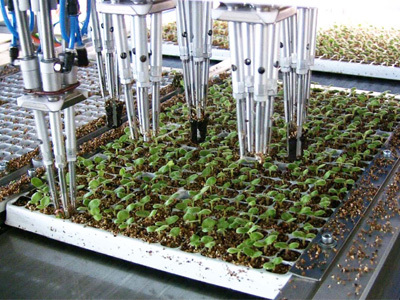 Placing the blocks on the planting line, watering, seeding, planting, covering, and transport are operations that can all be carried out automatically using the universal planting line. 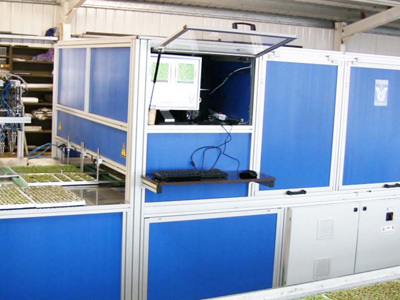 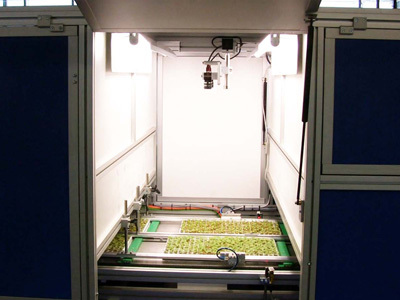 To deliver the plants, a system has been developed in which in combination with a pick-up trolley the plants are picked up and placed into the boxes at the working height in a central place, which results in a restful atmosphere in the company.